Results of the 2016 Homebound Publications Poetry Prize! After an exhaustive judging process of hundreds of entries, we are pleased to announce that the winner of the 4th annual Homebound Publications Poetry Prize is Dede Cummings for her collection To Look Out From. The collection is drawn from poems that span 30 years in a narrative of place explored through craft and form: from growing up with four sisters, to alibis for secrets, family, memory, leaving home, and a mother’s grief; through poems that take the reader deep into forests and unexpected treasures found in nature. Finalist: The Moon Reminded Me by Ellen O’Brian. In her luminous poems, Ellen Grace O’Brian manages to braid contemporary moments of everyday life with ancient spiritual teachings—the sight of a hummingbird’s red throat, bread on the table, a couple’s quarrel, a mother’s advice—become doorways into the divine mystical heart. The Moon Reminded Me, subtly laced with Sanskrit, gives us an insight into a poet who bridges two worlds eloquently enough to take us along with her. Sandhya, the numinous time for stepping into the temple, suddenly becomes this moment, now. Yogacharya Ellen Grace O’Brian, M.A., poet, writer, and teacher is Founder and Spiritual Director of the Center for Spiritual Enlightenment, a meditation center in the ancient tradition of Kriya Yoga. She teaches throughout the US and internationally and is the recipient of the Hindu American Foundation’s 2015 Mahatma Gandhi Award. 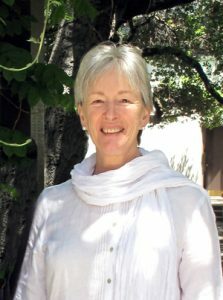 She is vice-chair emeritus of the Parliament of the World’s Religions and President of the Board of Carry the Vision for nonviolence education.Her books include Living the Eternal Way: Spiritual Meaning and Practice in Daily Life and A Single Blade of Grass: Finding the Sacred in Everyday Life. 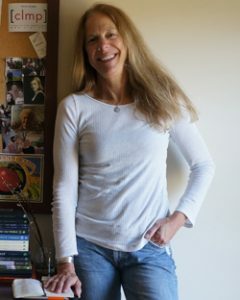 She is the Editor of Enlightenment Journal, a quarterly yoga magazine, a regular contributor to Truth Journal magazine, and Contemplative Journal online, as well as host of The Yoga Hour, a weekly radio program that brings contemporary writers and spiritual leaders together in conversation about yoga, world religions, and spirituality. She is the author of two volumes of poetry—One Heart Opening and The Sanctuary of Belonging, published through CSE Press, the publishing department of her ministry. Her work is included in the anthology, Poetic Medicine, by John Fox. As a western meditation teacher, poet and writer, Yogacharya O’Brian weaves poetry throughout her teachings as a way to communicate what words can only point to. Her work exemplifies the universal nature of yoga philosophy and makes its wisdom accessible to people from all walks of life. Jesse LoVasco finds poetry to be a tool for studying life while creating meaning. Through observation on walks and hikes in the woods, along a river, or the small vignettes with nature and relationships with people, she crafts her poems. She has taught poetry workshops in her community and studied poetry at Vermont College. She has published in the online journal, Written River and in local newspapers. Tracy Mishkin is a call center veteran with a PhD and an MFA student in Creative Writing at Butler University. Her chapbook, I Almost Didn’t Make It to McDonald’s, was published by Finishing Line Press in 2014. Her second chapbook, The Night I Quit Flossing, is forthcoming from Five Oaks Press. She has been nominated for a Pushcart Prize. A professional speaker for many years in her career field of communication disorders, Donnoa Codeghini has lectured on therapeutic practices at national and state conventions and have been an adjunct professor at a community college. She is the author of a collection of children’s stories published by Lexicon Press in 2004, STILL: Stories to Inspire Language Learning. After working many years as a speech pathologist, she earned a Graduate Certificate in Expressive Art at Salve Regina University in 2004 and completed multiple courses in Drama Therapy at the Omega Institute in Boston. More recently, she presented a poetry writing workshop at the National Poetry Therapy Conference in Kansas City, MO. Matthew Haughton is the author of the book Stand in the Stillness of Woods (WordTech Editions). His chapbook, Bee-coursing Box (Accents Publications) was nominated for the Weatherford Award for Appalachian Poetry Book of the Year. His poems have appeared in many journals and anthologies including Appalachian Heritage, The Louisville Review, The Four Way Review, Stirring, and Still: The Journal. Haughton works as a public school teacher in his native Kentucky. He is the co-editor of the digital literary journal, WestWood, for young Kentucky writers (westwoodlitmag.com). Currently, he is a graduate student at the Bread Loaf School of English, where he is on a generous fellowship from the C.E. and S. Foundation. Born in Pennsylvania, David Anthony Sam now lives in Culpeper, Virginia with his wife and life partner, Linda, and serves as president of Germanna Community College. He has two collections: Dark Land, White Light (1974, 2014) and Memories in Clay, Dreams of Wolves (2014) and his poetry has appeared in over 50 journals. Sam was the featured poet in the Winter 2016 issue of The Hurricane Review and in 2015 was twice nominated for the Pushcart Prize. Eleanor Kedney founded The Writers Studio Tucson, a branch of the New York-based creative writing school founded by Pulitzer Prize-winning poet Philip Schultz, and served as the Director and the advanced workshop teacher for 10 years. Her poems have appeared or are forthcoming in various U.S. and international periodicals, including Connecticut River Review, Cumberland River Review, Many Mountains Moving, Miramar Poetry Journal, Mudfish, NY Quarterly, San Pedro River Review, The Maynard, and several other journals. Her work contributes to the anthologies No Achilles: War Poetry (WaterWood Press, 2015) and Write to Meow (Grey Wolfe Publishing, 2015). Her chapbook, The Offering, will be published by Liquid Light Press (2016). She lives with her husband, Peter, their dog, Charlie, and their cat, Ivy, in Tucson, Arizona and Stonington, Connecticut. Lance is a firefighter that lives on a sailboat in Seattle. A veteran of the US Navy during the Don’t Ask Don’t Tell era, and graduate from the U of WA’s BA in Creative Writing, his writing has appeared in The Found Poetry Review,The Wayfarer, CIRQUE, JONATHAN, Pacifica Literary Review, REQUITED, and many others. His novel, Second-Class Sailors, is available from FreeLancelot Publishing, along with its poetry companion, Ask To Tell. Sean Akerman grew up in rural Maine and moved to New York City in 2006, where he earned a PhD in social and personality psychology. He has taught at Hunter College, Sarah Lawrence College, and Bennington College. In 2015, he moved to the North Woods, where he writes and edits full-time. His poetry and prose have appeared in Main Street Rag, Radius, and 3Elements Literary Review, among other locations. Entries for the 2017 Homebound Publications Poetry Prize are now open. Visit the Homebound Publications store to add past winners to your home library.